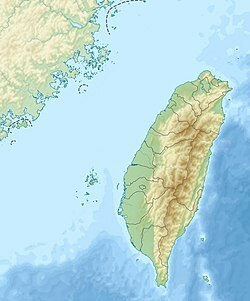 The 2006 Hengchun earthquakes occurred on December 26 at 20:26 and 20:34 local time off the southwest coast of Taiwan in the Luzon Strait, which connects the South China Sea with the Philippine Sea. The International Seismological Centre measured the shocks at 7.0 and 6.9 on the moment magnitude scale. The earthquakes not only caused casualties and building damage, but several submarine communications cables were cut, disrupting telecommunication services in various parts of Asia. Coincidentally, the earthquake occurred on the second anniversary of the 2004 Indian Ocean earthquake that devastated the coastal communities across Southeast and South Asia and 3rd anniversary of the 2003 earthquake that affected the southern Iranian city of Bam. News agencies aired reports in southern Taiwan of collapsed houses, building fires, hotel guests being trapped in elevators, and telephone outages due to severed lines. Two people were reported killed and 42 injured. The earthquake was felt all over Taiwan, including the capital city of Taipei, which is 450 km (280 mi) north of Hengchun. Power was knocked out to a reported 3,000 homes, but service was restored within a few hours. As of the following morning, cleanup was already underway. Fifteen historical buildings, including a Grade 2 elephant site, have been damaged in the historic center of Hengchun. The 3rd nuclear power plant, Maanshan Nuclear Power Plant, of Taiwan Power Company nearby was affected by the earthquake. Because of the vigorous vibration, the alarm at Reactor #2 was activated, forcing the operators to carry out SCRAM immediately. However, Reactor #1 was not affected and remained operational. After the emergency shutdown of Reactor #2, engineers checked the facilities at the plant and no problems were found. Residents in different districts of Hong Kong felt the earthquake. Fearing the collapse of their buildings, people in Sham Shui Po, Wong Tai Sin and Yuen Long ran down to the streets. The Hong Kong Observatory estimated the tremor as having a Mercalli intensity of III (Weak) to IV (Light). In Macau, residents called the Office for Meteorological and Geophysical Services to ask whether earthquake occurred in their city. While this earthquake marked the first time a tsunami was detected in Taiwan, the change in water level was only 25 cm (9.8 in) and no damage was caused. Early reports issued by the Japan Meteorological Agency indicated that the earthquake triggered a 1-meter tsunami, which was detected heading for the east coast of the Philippines, with Basco in its likely path. The Hong Kong Observatory also issued tsunami information bulletin, while indicating Hong Kong would likely be unaffected. The earthquake catastrophically disrupted Internet services in Asia, affecting many Asian countries. Financial transactions, particularly in the foreign exchange market were seriously affected as well. The aforementioned disruption was caused by damage to several submarine communications cables. Chunghwa Telecom stated that an undersea cable off the southern coast had been damaged, interrupting communications (including IDD, telephone services and internet services) of Taiwan with China, Hong Kong, Malaysia, Singapore, Thailand, and the United States. The international calling capacity was reduced to 40%. severely damaging the communications within the Asia-Pacific region and with the United States and Europe. IDD, telephone services and internet services of China with North America was seriously affected by the earthquake. However, China Telecom announced on December 31 that IDD services had resumed to normal level. Internet services had resumed to 70% of normal level. As the undersea cables to North America was seriously damaged by the earthquake, the quality of internet services depends on the progress of repairing work. Starting from the dawn of December 27, connection between foreign web sites/servers and Hong Kong internet users kept failing. Wikipedia, search engines, online messengers like ICQ and MSN Messenger, and portals like Google, Yahoo! and MSN have been largely unavailable. Access to Chinese Wikipedia was cut by the earthquake too, as the servers are located in South Korea. Websites located in mainland China, such as xinhuanet.com, the website of Xinhua News Agency, were also inaccessible. On December 29, the Office of the Telecommunications Authority (OFTA) of the Hong Kong Government announced that IDD and roaming calls to Taiwan have resumed to 50% of the normal level. IDD and roaming calls to other Asian countries (e.g. South Korea) are slower than normal condition. Calls from Hong Kong to overseas using calling cards have the same situation as the IDD and roaming calls. However, calling from overseas to Hong Kong using calling cards is still facing serious congestion. For internet services, as of December 29, connections to web sites in the U.S., South Korea, Japan and Taiwan were still very slow. However, the situation was improving, sites which could not be accessed before (e.g. Wikipedia, Google, YouTube) were available at extremely slow speed. Among the internet service providers in Hong Kong, PCCW's Netvigator was the slowest to resume enough bandwidth for their users. Therefore, as a temporary remedy, many internet users in Hong Kong used proxy servers in Australia, Thailand, Spain or even the UAE and Kuwait to access foreign websites. As of December 31, the situation of internet connection had improved. Although sites that were previously unavailable became accessible, the connection speed was still slower than normal. The earthquake cut PLDT's phone service capacity and connectivity by around 40 percent. The two largest Philippine mobile communications companies (Smart Communications and Globe Telecom) also reported some international connectivity problems. Some carriers were able to re-route their service. Call centers and other outsourced business processes that have become a major industry in the Philippines feared that the cable damage might hamper their operations dramatically; only two centers were totally shut down due to the problems. In the United States, several networks and bloggers have experienced a noticeable reduction of the volume of spam received after the earthquake. A blogger noted that "one large network in North America saw their mail from Korea drop by 90% and from China by 99%." Korea Telecom, Malaysia's Telekom Malaysia  and Jaring, as well as the Communications Authority of Thailand, Singapore's StarHub and SingTel  and Brunei's Telbru have also reported disruption to most Internet services. In Singapore, search engines and portals like Google, Yahoo!, MSN and most websites have been virtually unreachable. In Indonesia, Google is not accessible, but Yahoo! and Wikipedia can still be used, though the network connection speed is very slow. Sri Lankan Internet services have likewise been affected. In Malaysia, there were problems with popular Internet services  such as Gmail and Yahoo! News, however the situation is reported to be improving on 29 December. According to the Office of the Telecommunications Authority (OFTA) of Hong Kong Government, among the five cable ships deployed, two arrived at the scene. However, one of the two ships experienced a major fault on December 30 afternoon and was under urgent repair in Kaohsiung, Taiwan. The repair for the ship was estimated to take about a week. Therefore, the repair for the cables had to be postponed. It was estimated that the first part of the repair of one of the submarine cables would be completed around 16 January 2007. For the other damaged cables, survey and assessment were being arranged and repair of most of the cables is expected to be completed progressively by the end of January 2007. IDD Services and disrupted internet service in Southeast Asia has been greatly restored pending the repairs and rerouted traffic. Before the completion of the cable works, however, some countries had already found alternative methods to restore the Internet access. For example, by 3 January 2007, Singapore's SingTel had already fully restored the Internet access provided by them. SingNet, SingTel's subsidiary, which does ISP services, released an announcement on its homepage, mentioning that "internet access to services such as gaming and video downloading may experience some delays". Whether or not this is related to the earthquake is unknown, albeit likely. According to China Daily (January 16) the repair work might be completed end of January, yet heavy winds in the Bashi Channel have stirred up 10–12-meter waves, which makes it impossible to resume work. ^ "Press Release at 22:05HKT, December 26, 2006 by Hong Kong Observstory". Archived from the original on 2007-10-11. Retrieved 2007-01-21. ^ "Submarine communications cable map of China". Archived from the original on 2008-08-06. Retrieved 2006-12-30. ^ a b c "Quake cuts RP telecoms services by 40 percent". The Manila Times. December 29, 2006. Archived from the original on January 11, 2007.